Communication is Critical! Fill out this contact form if you have a comment, suggestion, question, or complaint that you wish to elevate to the Chapter 247 leadership team. Do you not have a NTEU mug? Fill out this form to let us know of your disappointment. As a Chapter 247 member, you are entitled to a complimentary mug. Chapter 247 Members! Take your cue from ex-IRS Commissioner Everson (below). 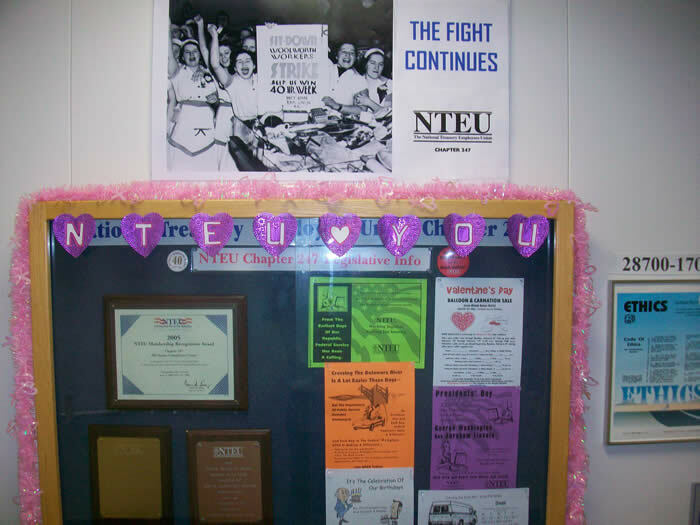 Get a NTEU Mug and display it proudly. 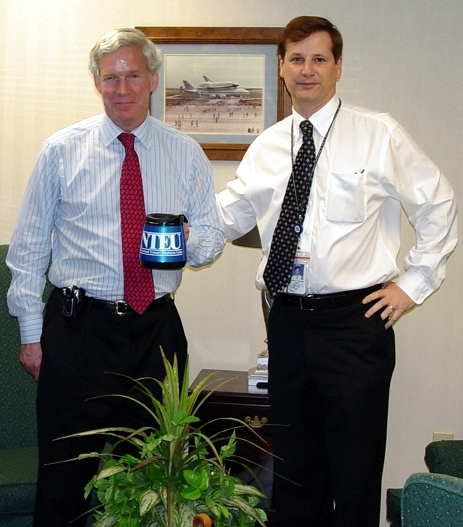 NTEU Chapter 247 President EDDIE WALKER with former IRS Commissioner MARK EVERSON. Also, you can update your address or E-mail info here. Chapter 247 can change your address online quicker than ever before. Make sure that you let us know if you do not have a current membership card and we will see that you get one ASAP. You know you deserve one!